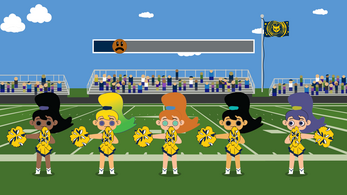 You should have practiced your cheerleading routine! 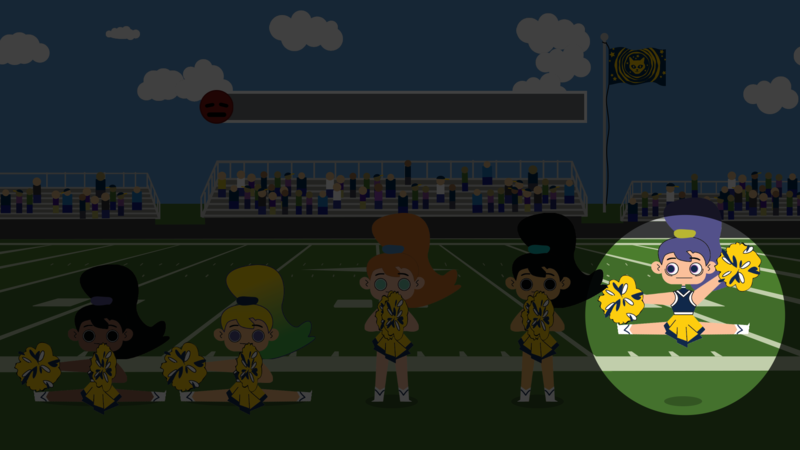 Now you're performing during the first game of your highschool team's season without a clue what to do. Look to your left and follow along with the rest of your team as best as you can. 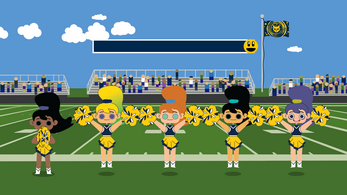 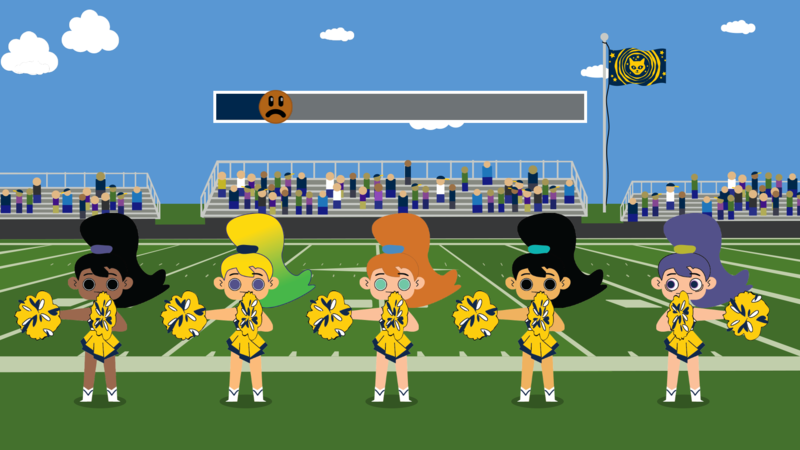 Keep your Team Spirit bar high and follow along as the moves get more varied and complicated!